Champion mojo storyteller Joe R. Lansdale is the author of more than forty novels and numerous short stories. His work has appeared in national anthologies, magazines, and collections, as well as numerous foreign publications. He has written for comics, television, film, newspapers, and Internet sites. His work has been collected in more than two dozen short-story collections, and he has edited or co-edited more than a dozen anthologies. He is a recipient of the Edgar Award, eight Bram Stoker Awards, the Horror Writers Association Lifetime Achievement Award, the British Fantasy Award, the Grinzani Cavour Prize for Literature, the Herodotus Historical Fiction Award, the Inkpot Award for Contributions to Science Fiction and Fantasy, a recent Spur Award for Best Historical Western Novel, and many others. His novella Bubba Ho-Tep was adapted to film by Don Coscarelli, and the film adaptation of his novel Cold in July was nominated for the Grand Jury Prize at the Sundance Film Festival. A television series based on his Hap and Leonard novels debuted recently on SundanceTV. He is currently co-producing several films, among them The Bottoms, based on his Edgar Award-winning novel, with Bill Paxton and Brad Wyman; and The Drive-In, with Greg Nicotero (The Walking Dead). He is Writer In Residence at Stephen F. Austin State University, and is the founder of the martial arts system Shen Chuan: Martial Science and its affiliate, the Shen Chuan Family System. He is a member of both the United States and International Martial Arts Halls of Fame. He lives in Nacogdoches, Texas, with his wife, dog, and two cats. 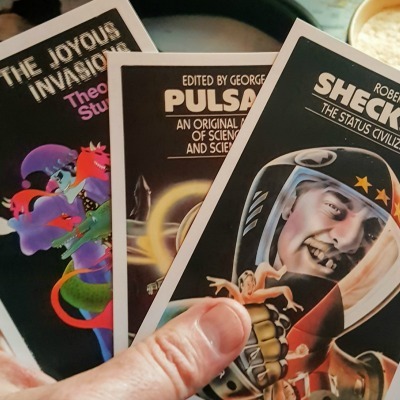 Born in 1995 with a twisted sense of humour and a taste for craft beers and cold weather, Jeremy Szal’s work has appeared in Nature, Nature: Physics, Abyss & Apex, Lightspeed, Strange Horizons, The Drabblecast and others. His work has appeared in audio and has been translated into Arabic, Polish and Chinese. In 2015 he was a Finalist for Writers of the Future and produced a short film that is currently being screened in film festivals around the world.